What does the Bavarian Radio Symphony Orchestra sound like? 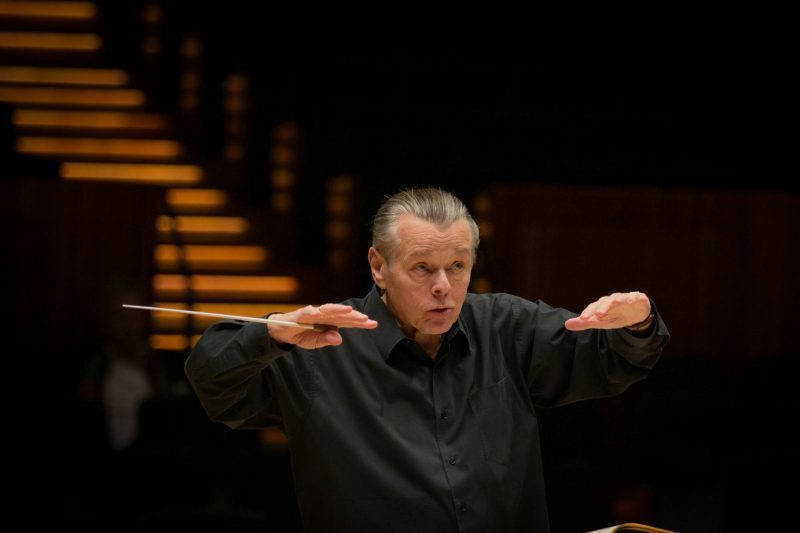 No one faces this question with more passion than its principal conductor, Mariss Jansons. With each work he begins anew to polish the perfect sound – even if it means leaving the conductor’s desk. 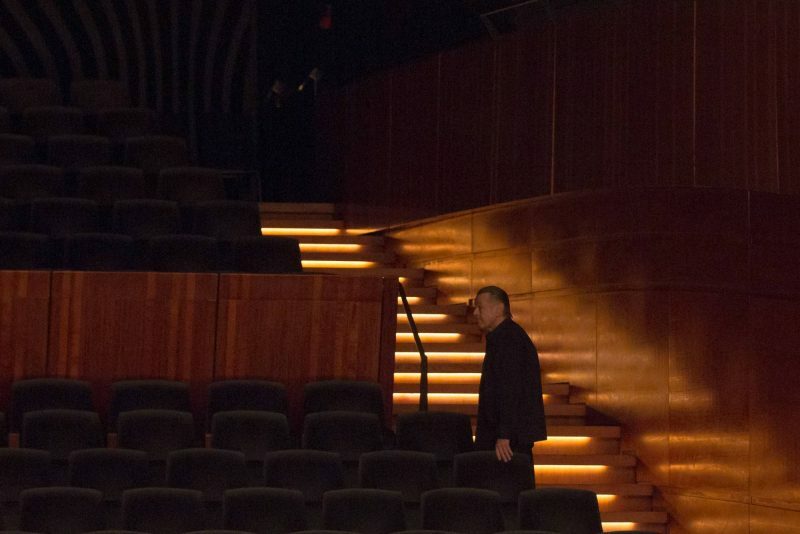 Florian Zinnecker talked with Mariss Jansons. 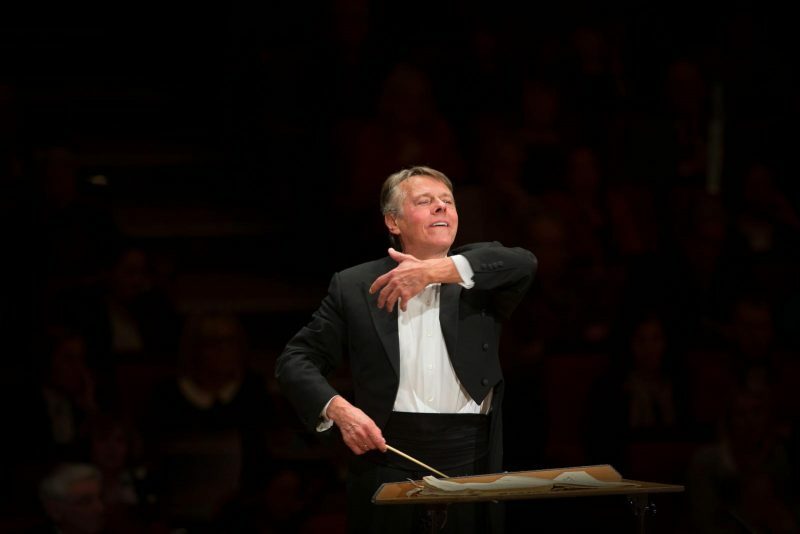 Maestro Jansons, the sound of the Bavarian Radio Symphony Orchestra begins in your mind. When you rehearse a new work with the orchestra, how do you know what it must sound like in the end? 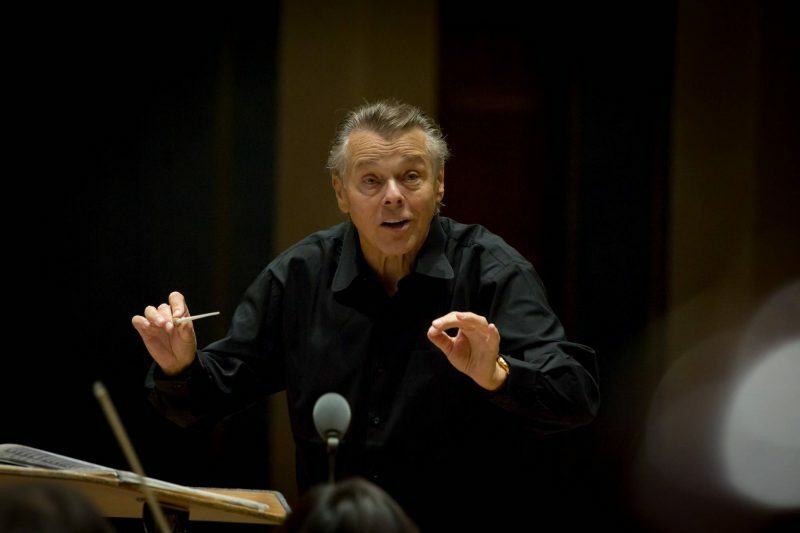 Mariss Jansons: A lot of it is in the score: what instruments are required? who has to play what? how is the piece constructed? how are the themes distributed in the orchestra? One shouldn’t jump to conclusions, of course: just because the brass section is full doesn’t mean that the brass will dominate: perhaps it will in one passage, perhaps not at all. I have to read the score very closely. I look at the tempos, the shape of the music, and I notice what atmosphere is meant to be expressed. I can’t predict it with one-hundred-percent certainty, but at least I gain an abstract idea of the sound. When you read the music, can you hear in your mind’s ear how it will sound in the concert hall during the performance? I need to have an idea of the sound, and it has to be as specific as possible. I develop one model for the interpretation and another for the sound: I have to feel whether and how all the components I’ve named fit into an overall picture. That’s not so easy when I tackle a work for the first time, of course, but it improves in the first rehearsal, when I can compare my ideas to what I hear. Sometimes (smiling) I spontaneously light on a better idea and start again from scratch. You see, my sonic image is not engraved in stone; it’s the goal, of course, but I don’t make it immune to reality. Both my wish and reality evolve in rehearsal. When you work with a score, do you sit at a desk or at the piano? I used to play through every work at the piano, directly from the score. Today it’s enough for me to play a few string lines or wind phrases to get an initial idea, particularly in the case of new works. On paper all you ultimately have is the construction plan; you still have to build the building. What happens during the first rehearsal with the orchestra? First we give the work a complete run-through so that we all have a notion of what the music sounds like. It also lets me know immediately where to start. Then I begin right away to fine-tune the sound. How can you change the sound? With my hands. I show the orchestra the dynamics and character the music should have. One core feature of the Bavarian Radio Symphony Orchestra brand is that it often gives invitations to guest conductors, including many famous ones with their personal touch. How do you nevertheless manage, as principal conductor, to maintain supremacy over the orchestra’s sound? I don’t intervene at all in the work of the guest conductors. I’m not even present. Actually, guest conductors tend to support my efforts: the better they are, the more the orchestra learns from them, and the better we become. What I aspire to do is hard to put into words without sounding banal: the orchestra must play well – in a technical sense. The intonation must be flawless, and I put great store in sound. What does the orchestra sound like? Quite good, I think (laughs). We have a very full sound, very emotional, brilliant and dark, the full spectrum. What pleases me most is our pianissimo: it’s easy to play soft, but extremely hard to sound vibrant and expressive at the same time. This orchestra can do it. How much does the orchestra’s sound depend on the concert hall? A good hall educates the orchestra. The musicians hear themselves better; they hear what the others are playing, and they feel it, too. That completely alters their ensemble playing, of course. But very good halls are few and far between, and we often have to deal with mediocre venues. When we make a guest appearance in a hall for the first time, we tell ourselves, “Let’s wait and see how it turns out. It’s an experiment, a gamble.” In the end, the orchestra will play as it will, no matter where. I only have to intervene and adjust to varying degrees so that it sounds well. How do you go about transporting the orchestra’s sound to different halls when you’re on tour? With sound checks. I choose passages from the program that are characteristic of the sound. Then we try them out: how softly can we play? how loud can we get? does the balance between instruments work? Every hall has its own sound: one is dry, another expansive, another a bit muffled. We try to accustom ourselves to it and make the most of it. Do you sometimes leave the conductor’s desk? Certainly, very often. After all, I have to check the sound in the hall to know what the audience hears. I hand the baton to a colleague from the second violins and walk around the auditorium, through the stalls and the balconies. You hear the orchestra differently at the conductor’s rostrum from anyone in the audience, and no one in the audience hears it as you do at the rostrum. True, it sounds different at every spot. I even hear it differently from the concertmaster at my side. That, too, depends on the hall: ideally the differences should be imperceptible, but there are even better and worse spots in the orchestra itself. I usually have a fairly good spot. You mean that the conductor’s desk is not always the best spot? It differs from hall to hall. It’s happened that the acoustics at the rostrum were worse than in the audience because the sound went over my head. But with a bit of experience you can strike a balance. Do you always conduct with your thoughts partly in the hall? When you conduct a concert, how often are you satisfied with what you hear? Do you ever think, “Now it’s perfect”? There’s no such thing as “perfect.” To be honest, I don’t waste much thought on that during a concert. Of course I have to analyze what’s happening when I conduct; I can’t focus simply on emotions and expression. But emotions have top priority. Besides, it’s too late to correct anything. Once I’ve heard it, it’s over. There’s time for analysis after the concert. Then I can consider what was good, what I have to watch out for next time, and what part of the sound I’d like to change. A tightrope walk between gut, heart, and brains. Then I’m in my own inner world, somewhere between feeling and reason – I can’t pin it down more accurately than that. But in any case I have to be fully involved in this process if the music is to emerge. If I think too much about what already happened, the things yet to come can easily go wrong because I’m not focused on them. I have to foresee what’s coming and prepare it in my mind. In such moments, does your initial ideal sound still play a role? It can well happen that I spontaneously decide to try out something new, especially on tour, when we play a work four or five times. Then I’m very fond of improvising a bit. The musicians know this, and of course I take care not to exaggerate so that things don’t get out of hand. Besides, I don’t like it when a concert simply replicates the rehearsal. A concert must be more than that. It’s like a rocket: the first stage is the preparation, the second the rehearsals in the hall, but there still has to be a third stage if it’s to reach the cosmos – namely, the best I can give, combined with the best the orchestra can give. What qualities does a concert hall require in order to support this? The hall, by which I mean its spatial acoustics, must be very good. What does “very good” mean? The sound on the concert platform should be as close as possible to the sound in the rest of the hall. The hall needs warmth; the sound must be beautiful; it must be able to vibrate; it needs sufficient reverberation time and must provide enough leeway to shape the music. Then there are many other factors, of course: enough space on the concert platform, enough cloakrooms and restrooms, an appropriate number of rehearsal rooms for ensembles and instrument sections. In short, it’s important to have lots of space, but without jeopardizing the close contact between orchestra and audience. In Munich’s Hercules Hall the listeners in the stalls see the front rows of the first and second violins but not the violas, nor the cellos, and not a single wind instrument. I think that’s a great shame. After all, we offer the audience quite a bit: lots of energy and lots of emotional material that everyone can respond to in their own way. So what should a concert hall look like? That’s quite easy to answer, and yet very difficult. The hall must be comfortable – not in the sense of sitting on a couch and gazing into a fireplace. By comfortable I mean the room’s color, lighting, and energy. And the energy is always heavily dependent on the course of the concert. There’s a mutual interaction: the hall creates the underlying conditions of a concert, of course, but even in the world’s best concert hall the crucial thing is always the concert taking place inside it.